Do you want to login into two Facebook accounts at the same time? Many users maintain more than one Facebook account for privacy reasons. Sometimes, you may want to login into both Facebook accounts simultaneously. Fortunately, you can easily login and access multiple Facebook accounts at the same time using quick workarounds. If you have installed additional web browser like Google Chrome, Firefox besides the default Internet Explorer, then opening multiple Facebook accounts at the same is very simple. Just login into one Facebook account in Internet Explorer and login into second Facebook account in other web browser (Google Chrome or Firefox as per your choice). If you do not like using multiple web browsers for multiple Facebook account login, then check other options below. Use Incognito Mode (also called private mode) where Chrome web browser does not store history of the browsing session. You can login into one Facebook account in default Google Chrome window and login into other Facebook account in Chrome’s Incognito Mode window. To launch Incognito Mode, click on Wrench icon and then click ‘New Incognito window’. 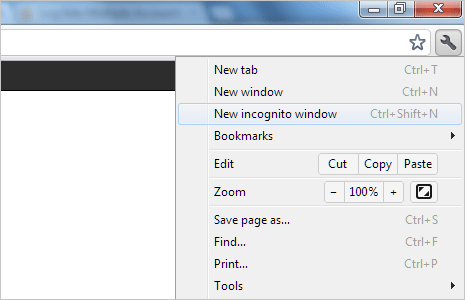 Alternatively, you can use keyboard shortcut Ctrl + Shift + N to open Incognito Mode window in Google Chrome. Internet Explorer users can use “New Session” option for multiple Facebook accounts login. 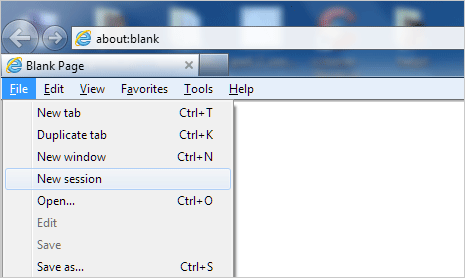 Open Internet Explorer browser and press ALT key to view (un-hide) the top menu. Then goto File > New Session to open a new window. You can open new session to login and open different Facebook account at the same. Firefox users can install MultiFox extension for opening multiple user accounts of same website like Facebook. This extension allow user to open new profile window and thus allowing multiple account login of the same website. 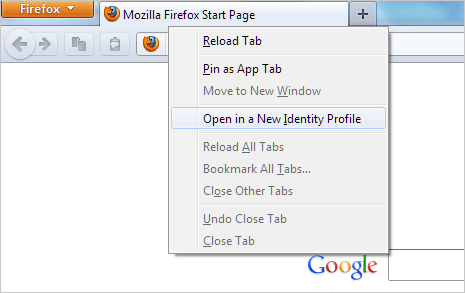 Once you install this extension, right click on the tab button and click ‘Open in new Identity profile’ option. This will open a new window, where you can login into different Facebook account. A must have extension for Firefox users wanting to login into multiple Facebook accounts simultaneously. Above are easy ways to login and manage multiple Facebook accounts simultaneously. However, over period of time you may want to merge multiple Facebook accounts to consolidate your online social life and restrict activities to only one account, just think!